Diabetes is a growing epidemic worldwide. 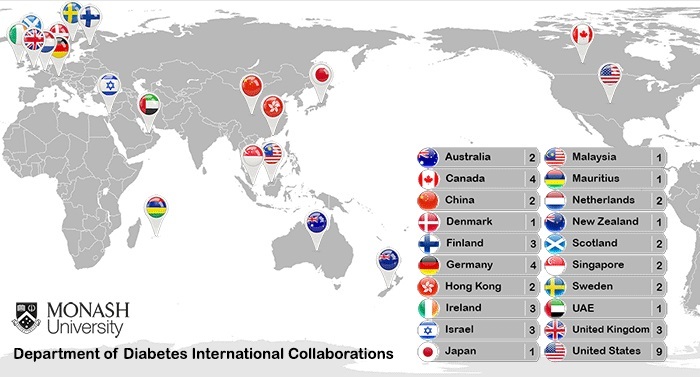 Our Department of Diabetes research leaders have an outstanding international reputation and are active in extensive research collaborations with leading scientists and institutions around the world. These have included recent collaborations with two major institutions in Tel Aviv (Tel Aviv Sourasky Medical Center and the University of Tel Aviv), Bar-Ilan University and University College London.